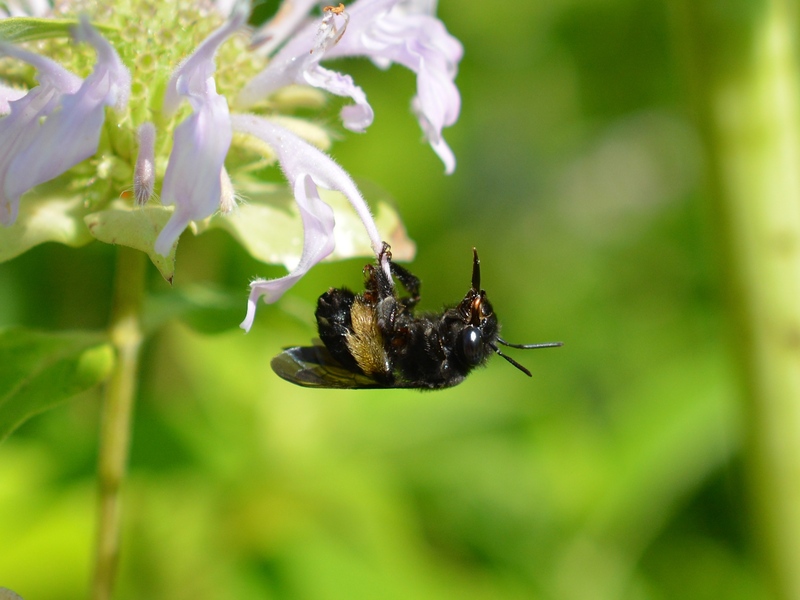 Long horned bees are named for the extra long antennae found on the males; females have short antennae in comparison. These bees are represented in North America by 120 species. 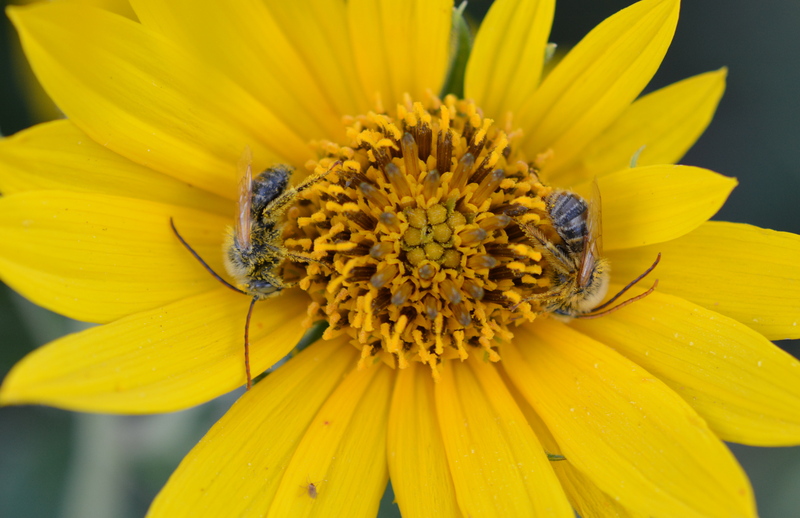 Males like these two Melissodes agilis can be found feeding and sleeping along the ege of flowers like this false sunflower. The female carries pollen on the long hairs of her hind legs called scopa. 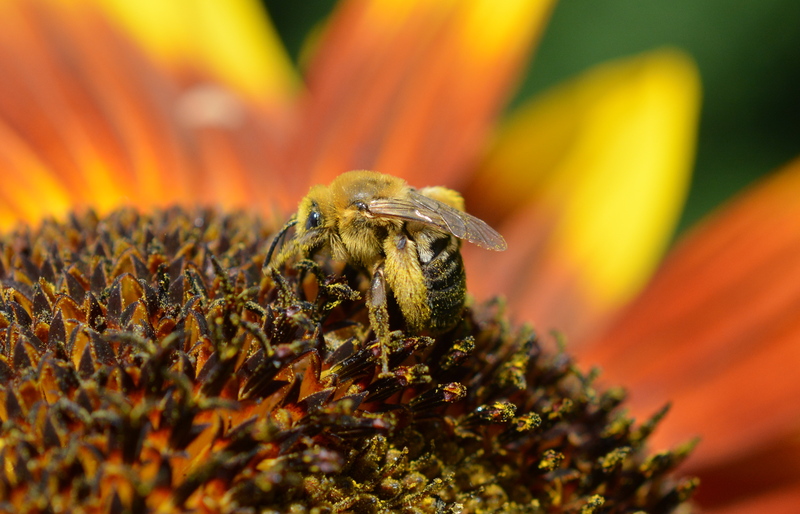 She will carry this pollen back to her underground nest to make into “bee bread” that is used to provision growing larvae. This Melissodes trinodis are specialists of sunflowers. Look for them in late July and August. Long horn bees are often specialists of their preferred flowers. The males can often be seen in the day looking for females, and at night cluster together to sleep. Melissodes bimaculatus unlike other long horn bee species are generalist that visit a variety of flowers like this monarda. Thistle long horn bee (Melissodes Subillata) as its common name implies is a specialist of thistle. Melissodes Denticulatus is a specialist of ironweed, seen here on a knapweed. I would love to know more of these bees. We have them on our sunflowers. They are one the few bees that could careless if we are around. They fly into everything, they run into us and we have never been stung. I would like to know more about how they nest.